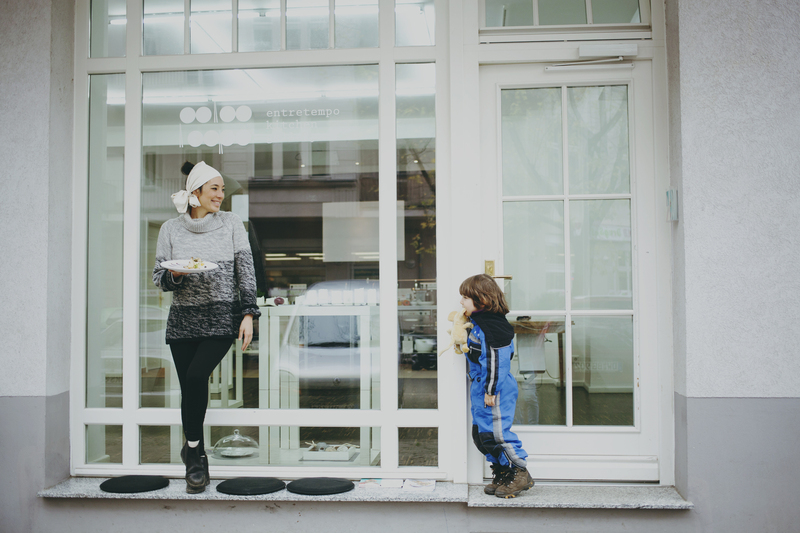 Tainá Guedes is a culinary powerhouse and her vibrant personality shines throughout the varied programme of Entretempo Kitchen Gallery (Berlin). Inspired by the ancient Buddhist concept of mottainai (best described as reduce, reuse and recycle), Tainá strives to eliminate as much waste as possible in everything she does. By using food as the central theme for the gallery, she encourages people to explore ways of reducing our impact on the planet through exhibitions, workshops and seminars. Undeniably, Tainá is a woman of many hidden talents and her growing success can be attributed to her ability to innovate. Her resolve has led her to open numerous restaurants, bring out her own range of lingerie, write a cookbook called Cooking With Bread and through Entretempo, she initiated Food Art Week in Berlin. Her passion for learning has taken her all over the world to train in a variety of culinary areas. It’s not about pointing the finger and making people feel bad, it’s more about inspiring people to stop and think. Follow the programme at Entretempo Kitchen Gallery to experience food in a completely new light. Helping children learn where their food comes from.